It was just the force of habit. I picked up the wrapper from my son’s Criasin’s snack package and went to throw it away, opening the pantry door and almost tossing the rubbish directly onto a box of cereal. I had to stop myself and it took me a moment to remember that isn’t where the trashcan is. Shaking my head, I opened the cabinet to my left and tossed the package into the bin, now kept under a shelf of cleaning supplies rather than a shelf of food like it was in our old house. Isn’t it funny how our body connects memories and actions, sights, sounds, and even smells? My son spent a lot of time (okay, nine straight months) watching Daniel Tiger’s Neighborhood on repeat while I incubated his brother and tried not to puke and pass out. I still can’t hear the theme song from that show without feeling nauseous. My mother always hooked her keys onto her belt loop and so she jingled when she walked. To this day, as a completely grown woman with a family of my own I still stop what I’m doing and snap my head around to try and find my mom any time I hear keys jingling at the grocery store. Sometimes, we just do things because it’s the way we have always done them. Our bodies and minds are built so that when we do something often enough, it imprints itself into our muscle memory and our sense memory and we don’t even have to think about it. It’s automatic. I think those same principles apply spiritually as well. Habitual sins are ingrained in us so much so that sometimes, we don’t even recognize what we are doing until it’s already done. Lying, gossiping, disrespecting our husbands, yelling at our kids…all things I have done when I’m on autopilot and I don’t even remember that I have told myself to “stop it!” a million times before. 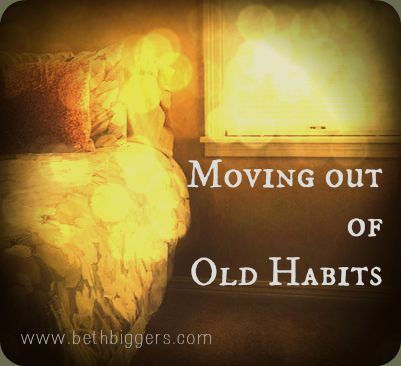 It’s so difficult to overcome these habitual sins because they have become natural, like when I tried to throw the trash away in the pantry because that is what I did at my old house for six years. It took an uncomfortable and concerted effort on my part to actually realize what I was doing, remind myself that “Hey, you don’t live in that house anymore,” and turn around to do it the right way. My family and I moved at the beginning of the month into a bigger, more beautiful home. We love it. 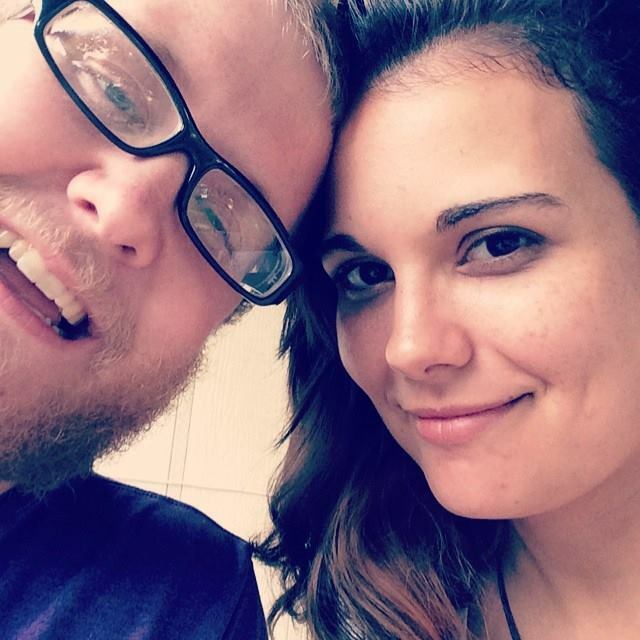 We spent six years living in a bad part of town in a home with poor air conditioning, a heating system so scary we didn’t even use it, faulty wiring, mold issues from a constantly leaking roof, and a grumpy landlord. But the rent was super cheap. And I had myself convinced that we couldn’t get anything better. As the Lord began to set my soul free in different areas, He also opened my eyes and hands to barely, bravely accept that He wanted more for me and my family than what we had. What? Yes! Turns out He actually wants good things for His kids. Like He’s a good dad or something, I don’t know. See, the thing is we get trapped in these mindsets and belief systems that are toxic. Whether through poor choices of our own or abuses from the past, we wake up one day just enough to realize that we are living in an unsafe and unsavory spiritual house. If you’re like me, you come to this realization and believe that you can’t get out, that you don’t deserve to get out, that this is just what you have to deal with it and so you try in vain to make it homey. You put the trash can in the pantry for six years. Beth would like to connect with you! Amen Rebecca! This is where I strive to live as well 🙂 thank you for your sweet comment!